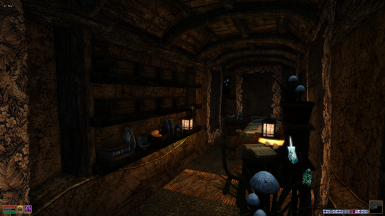 A player home, and medium dungeon hidden somewhere under Suran. Please request permission before altering this mod or uploading it somewhere else. Thank you. 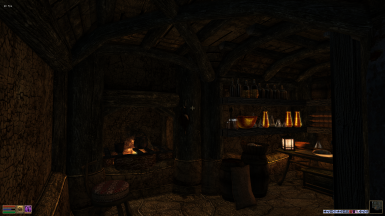 All assets are from Modder's Resources which the authors gave their permission for them to be used by the community. - For the wooden armor mannequins used here. Suran Underwater Manor is a secret hideout that lies somewhere beneath Lake Masobi next to the infamous harbour town of Suran. A hidden abode for any experienced thief who has the cunning to find it and the skill to enter it. The ideal place to lay low while the heat from your latest robbery cools off. --- A unique layout in the Hlaalu style with underground courtyards and deep pools. -- Comes with a Kitchen, bedroom, living area and storage room. -- Dozens of storage chests and 4 armour mannequins. -- All the lighting comes from lanterns and can be moved to suit the new owner's needs. -- 3+ secret rooms - can you find them? -- Small to Medium sized Dungeon added to the Manor, with end of dungeon boss fight! -- and numerous creatures to best in combat. 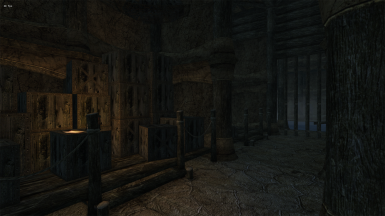 -- New second entrance to Manor from outside Suran; hidden, of course, behind a trap and another secret door. -- Let the smuggling begin in earnest! 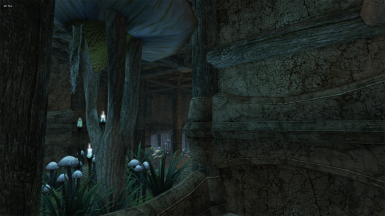 -- Morrowind Rebirth compatibility patch included (tested with Rebirth 4.9). -- simple step by step tutorial included - no 3D modelling required. 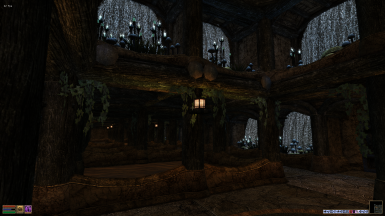 If you have any suggestions for future versions - please post them in the comments section here at the Morrowind Nexus, or message me on the Morrowind Modding Community Discord. 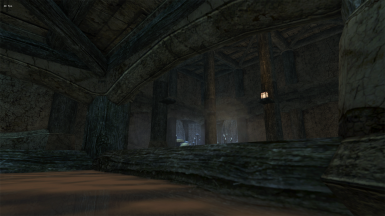 Screenshots taken with the Morrowind Graphic and Sound Overhaul (MSGO) installed.